Galvalume Colour Coated Sheets has been used extensively by the construction industry throughout the world for nearly two centuries. 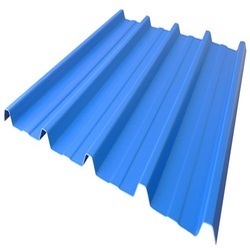 Because of its excellent corrosion resistances, it has become the preferred material for a wide range of construction uses, particularly roofing and walling.The coated steel sheet is unique as a building material. Sheets combines the strength of steel with the excellent corrosion protection of zinc or zinc/aluminum alloy coatings. 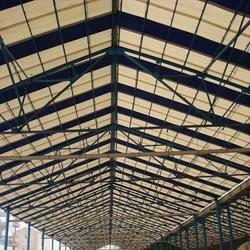 Galvalume Sheets has been used extensively by the construction industry throughout the world for nearly two centuries. 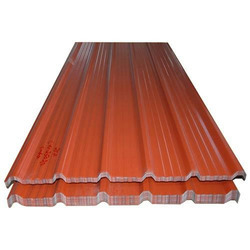 Because of its excellent corrosion resistances, it has become the preferred material for a wide range of construction uses, particularly roofing and walling.The coated steel sheet is unique as a building material. It combines the strength of steel with the excellent corrosion protection of zinc or zinc/aluminum alloy coatings. Sheets can be punched, pressed, roll-formed and joined into a limitless number of structural and decorative building products. 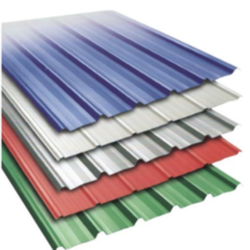 Leveraging on our in-house production unit, we are presenting a wide assortment of Colour Coated Roofing Sheets. 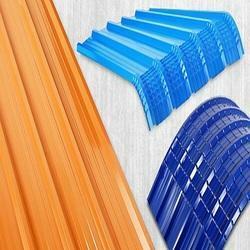 These sheets are developed utilizing quality metal and advanced machines. The offered sheets are manufactured under the supervision of deft professionals and adhering to OEM design standards. Clients can also get the custom designed sheets according to the business requirements. Also, clients can get the sheets from us in bulk at cost effective prices. 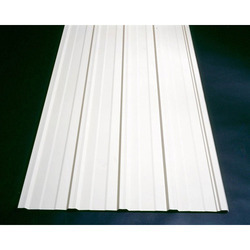 Prepainted Galvalume Sheets has been used extensively by the construction industry throughout the world for nearly two centuries. Because of its excellent corrosion resistances, it has become the preferred material for a wide range of construction uses, particularly roofing and walling. Sheet is unique as a building material. Sheets combines the strength of steel with the excellent corrosion protection of zinc or zinc/aluminum alloy coatings. Sheets can be punched, pressed, roll-formed and joined into a limitless number of structural and decorative building products. 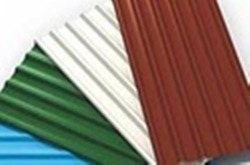 PPGI Corrugated Sheets has been used extensively by the construction industry throughout the World for nearly two centuries. Because of its excellent corrosion resistances, it has become the preferred material for a wide range of construction uses, particularly roofing and walling. 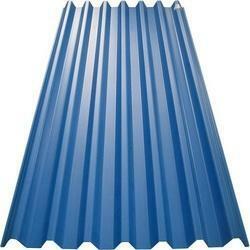 PPGI Corrugated Sheets is a unique building material. 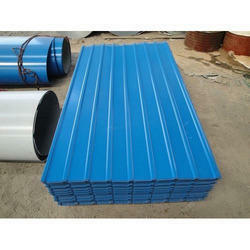 It combines the strength of steel with the excellent corrosion protection of zinc/aluminum alloy coatings. It can be punched, roll-formed and joined in to a limitless number of structural and decorative building products. 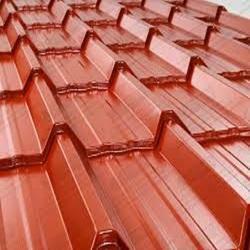 Alfa offers traditional and popular Tile Roof Sheets. 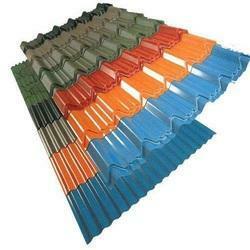 Elegant looking clay tiled Roof Sheet are available in a variety of colors, adds beauty to your roof. 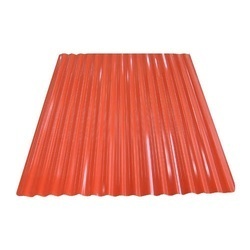 Tile Roof Sheet offered, comes in precision designed and construction finish so as to perfectly match up with the different roofing requirements. 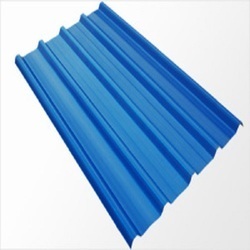 Further, the superior construction values of these sheets also make them provide for excellent resistance from corrosion as well as deliver optimum sound insulation and fire retardant support as demanded by the customer’s insulated panel. 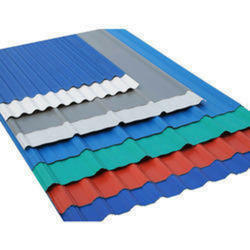 Colour Coated Tile Profile Roofing Sheets has been used extensively by the construction industry throughout the World for nearly two centuries. Because of its excellent corrosion resistances, it has become the preferred material for a wide range of construction uses, particularly roofing and walling. 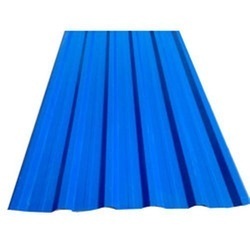 Colour Coated Tile Profile Roofing Sheets is a unique building material. 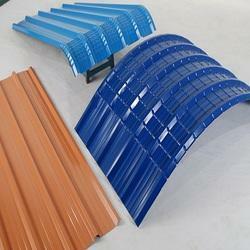 It combines the strength of steel with the excellent corrosion protection of zinc/aluminum alloy coatings. 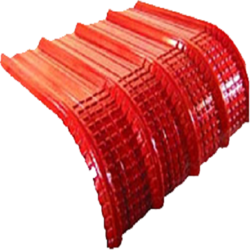 It can be punched, roll-formed and joined into a limitless number of structural and decorative building products. 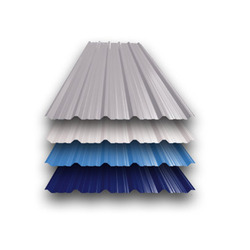 Since our beginning, we are engaged in presenting a wide range of excellent quality Prepainted Galvanized Sheets. 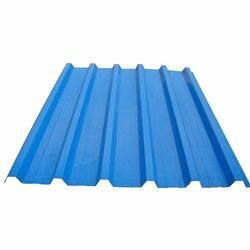 These sheets are often seen used in domestic and commercial sectors due to robust and prolonged working life. At our state-of-the-art unit, we manufacture these sheets following the OEM standards and using advanced techniques so that it provides flawless and high durability to the clients. Also, our professionals opt for strict quality inspection to assure sturdiness and stability of the sheets. 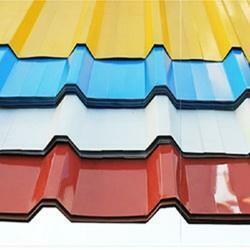 Galvalume Sheets has been used extensively by the construction industry throughout the world for nearly two centuries. Because of its excellent corrosion resistances, it has become the preferred material for a wide range of construction uses, particularly roofing and walling. Galvalume Sheets is unique as a building material. It combines the strength of steel with the excellent corrosion protection of zinc or zinc/aluminum alloy coatings. It can be punched, pressed, roll-formed and joined into a limitless number of structural and decorative building products. Easy to install, Crimped Sheets provide versatility and creativity that bring new and refreshing design to industrial and domestic buildings. The combination curves and contours in concave and convex shapes with flats and angles can be used to add an aesthetic appeal to the building. 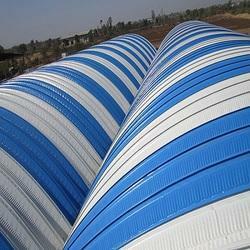 Our Crimp Curved Colour Galvalume Roofing Sheets are available in numerous sizes, designs and colors and are in extensively demanded in homes, restaurants, hotels and many other places. Further our quality auditors test this sheet on set parameters to ensure a flawless product from our end and retain customer’s permanently. 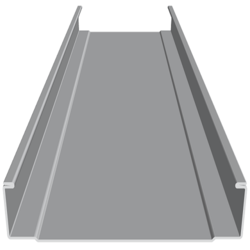 Our products are of rugged design, excellent strength, durable and easy to install. We deal in Color Profile Sheets. We are offering of PPGL Sheets. PPGL Sheets has been used extensively by the construction industry throughout the world for nearly two centuries. Because of its excellent corrosion resistances, it has become the preferred material for a wide range of construction uses. Coated steel sheet is unique as a building material. It combines the strength of steel with the excellent corrosion protection of zinc or zinc/aluminum alloy coatings. It can be punched, pressed, roll-formed and joined into a limitless number of structural and decorative building products. Galvanized Colour Coated Sheets has been used extensively by the construction industry throughout the World for nearly two centuries. Because of its excellent corrosion resistances, it has become the preferred material for a wide range of construction uses, particularly roofing and walling. 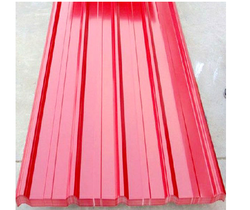 Galvanized Colour Coated Sheets is a unique building material. It combines the strength of steel with the excellent corrosion protection of zinc/aluminum alloy coatings. 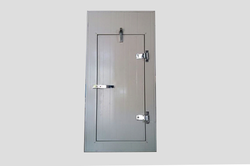 It can be punched, roll-formed and joined into a limitless number of structural and decorative building products. Colour Coated Steel Sheets has been used extensively by the construction industry throughout the world for nearly two centuries. Because of its excellent corrosion resistances, it has become the preferred material for a wide range of construction uses, particularly roofing and walling. Coated steel sheet is unique as a building material. It can be punched, pressed, roll-formed and joined into a limitless number of structural and decorative building products. It combines the strength of steel with the excellent corrosion protection of zinc or zinc/aluminum alloy coatings. 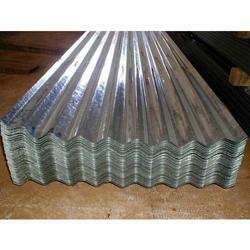 Looking for Metal Roofing Sheets ?